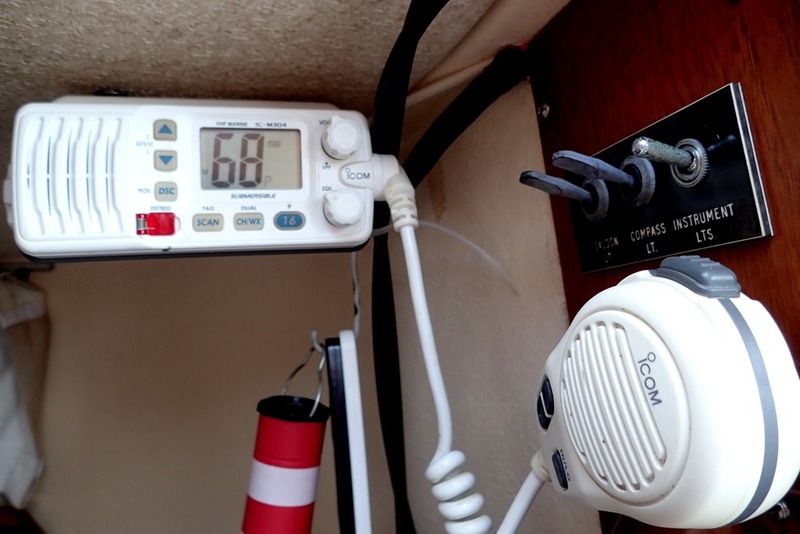 If you’re on a boat in the Bahamas, you have a VHF radio. And you use it to communicate with other boaters. Lots of the cottagers are former boaters and have VHF radios as well. 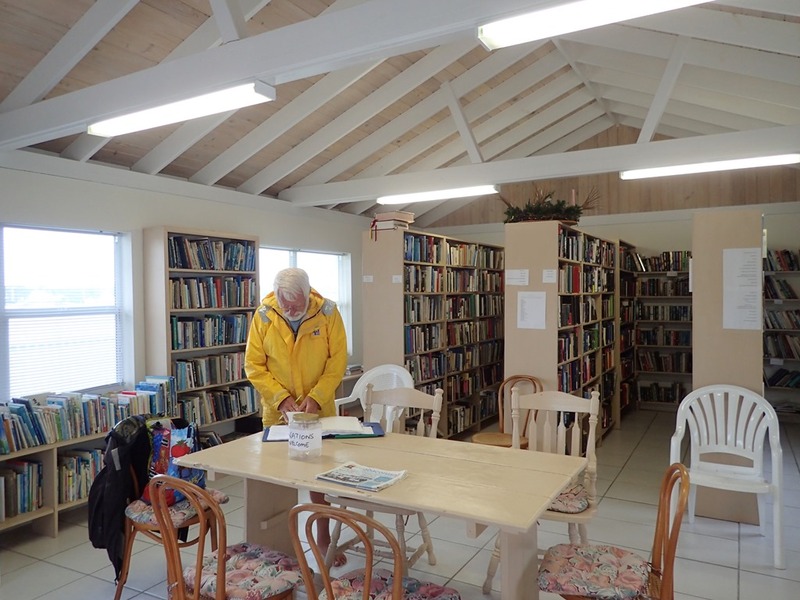 Here in Abaco, every day promptly at 8:15 a.m., we all listen in on channel 68 to the morning net, our local radio show, emceed by a volunteer “net anchor.” Dedicated to safety, friendship and message handling, it showcases the diversity of our community through its topics, announcements and accents. Weather is always the first act, presenting detailed information about stationary fronts from 28N 60W to 28N 70W to near 26N 76W, and low pressure near 26N 65W drifting W to NW and moving NE before exiting, with a cold front building S across our waters. 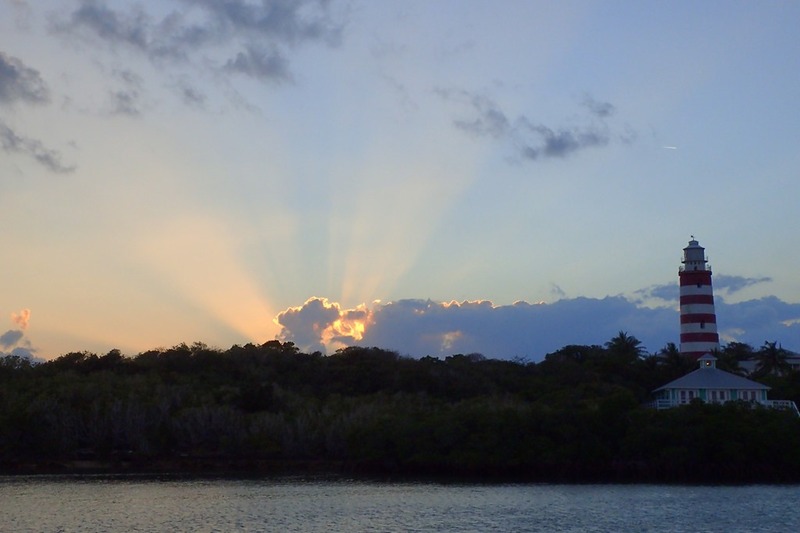 As we struggle to process this complicated weather picture, the helpful net anchor translates: “ it will be windy.” The weather report includes tides, passage conditions through the cuts and to Florida, barometer readings and the best time to go fishing “whilst” in the Abacos. Community announcements alert us to public service information vital to our stay here, such as Derby Day, the Christmas play, an art exhibit and when the library is open. 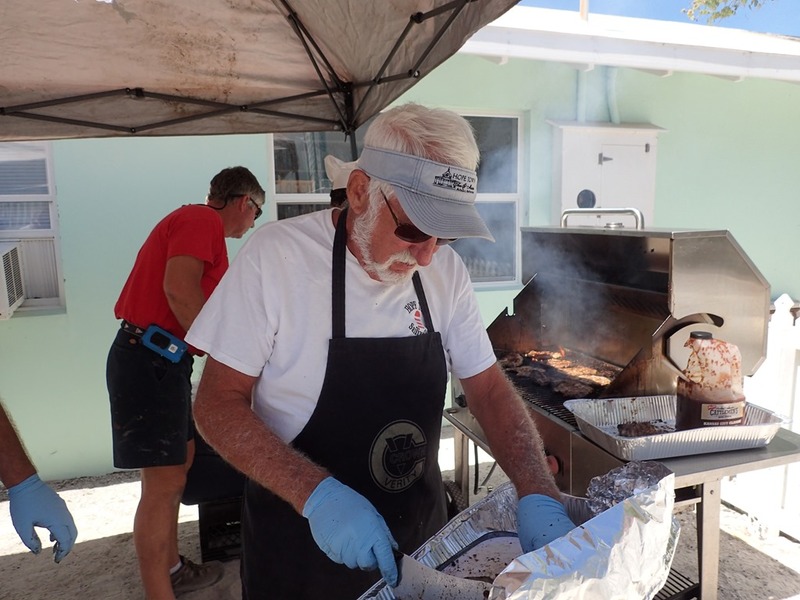 Especially important are the dates and times of fundraisers for: the lighthouse, the museum, local schools, the environment, Hope Town Fire and Rescue, the Abaco Rage, local animals and our new Community Center. We are advised that the Post Office did not open as planned – although the Post Office might be open tomorrow from 10-2. And we discover that bags and bags of inbound mail has accumulated during the recent closings. We learn that a Council meeting to review planned infrastructure improvements has been cancelled. Although we don’t know whether the cancellation refers to the meeting or the improvements or both. We are admonished to deposit our trash next to the freight dock but only on Mondays, Wednesdays, and Fridays and only between 8:30 and 9:30 a.m. And to limit our speed to 3 mph and not dump our poop in the harbor. 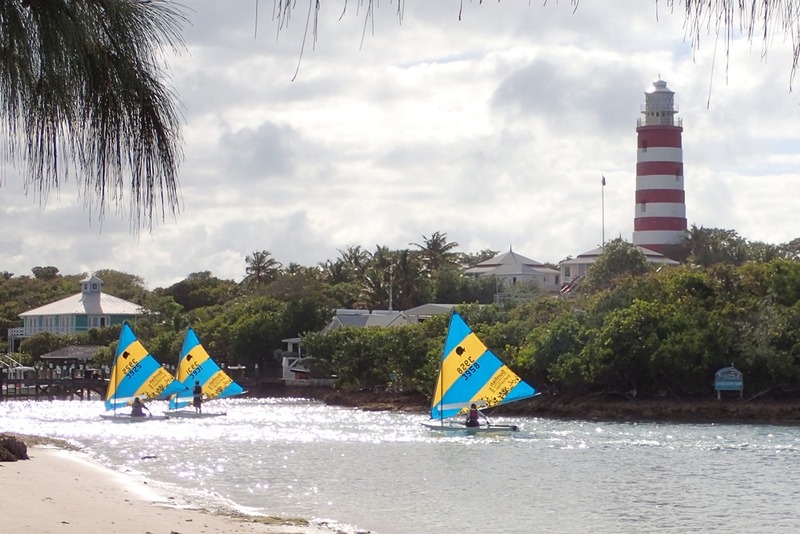 We are encouraged to help flip Abaco dinghies, watch boat races and enjoy Sunday softball in the park. Each restaurant has its own unique pitch: “Hear ye, hear ye, hear ye,” calls out Pete’s Pub in Little Harbor. 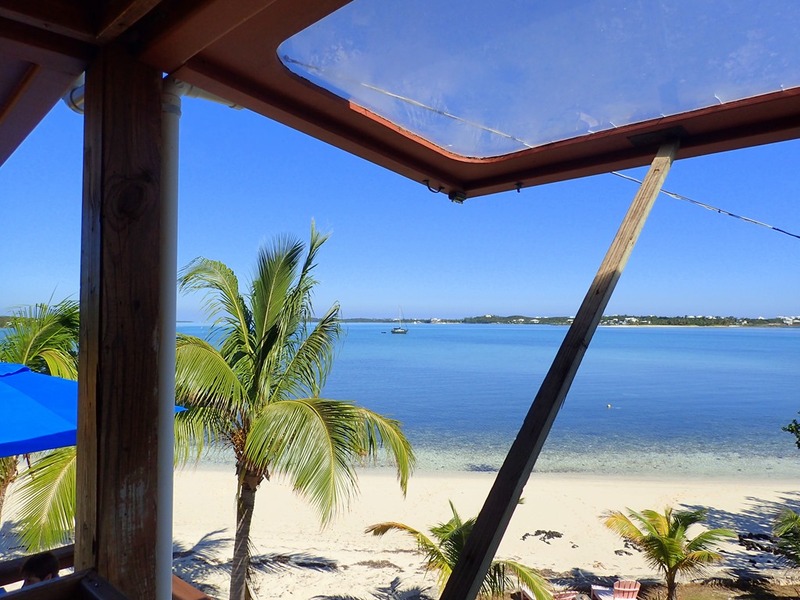 Cracker P’s entreats us to overlook “Tilloo Cut, T’’iti Beach (I swear he pronounces Tahiti Beach exactly like this) and the bea – U – tiful Sea of Abaco” while imbibing at its full moon party. On trivia night, we can “think and drink” at Cap’n Jack’s. And Snappa’s distributes free hot dogs to patrons who drink enough beer. With the “open mike” session, the net becomes interactive. Call in to say you are arriving; you are leaving; you have guests; your guests are leaving; you need parts for a water pump because your boat is temporarily headless (without a toilet); the internet is out; are there moorings available? 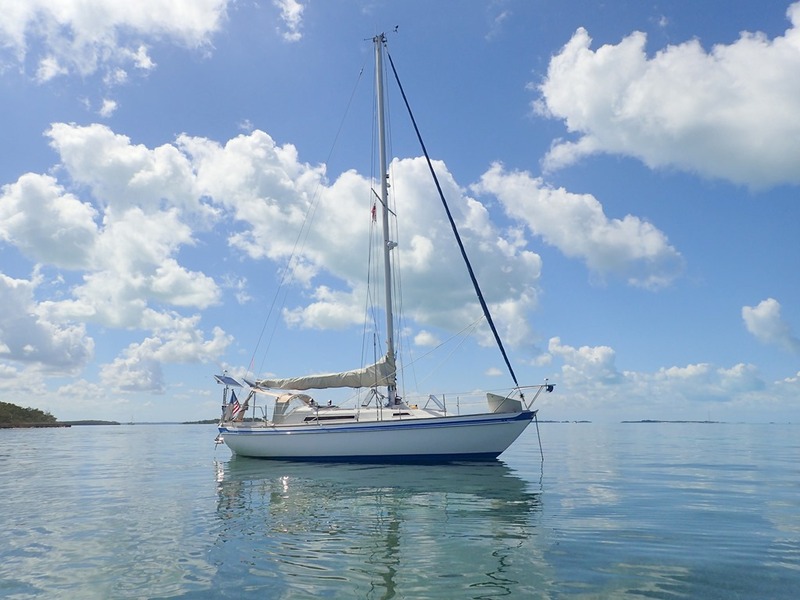 ; you’ve lost your dinghy; you’ve found a dinghy drifting by your boat and could the owner please come and claim it; where can you do your laundry; and you would like to go to Eleuthera and could someone please tell you how to get there. Birthdays are special – celebrated with mike clicks. “Click, click, click, click.” Our own version of applause – over the radio. 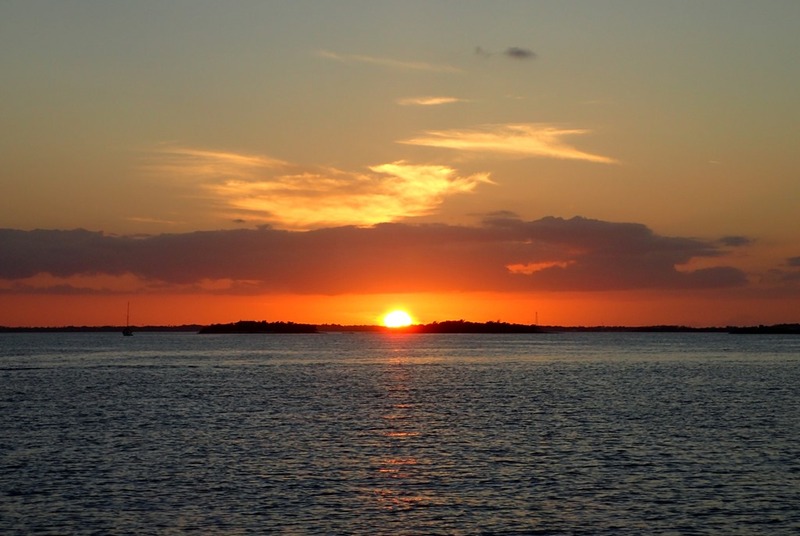 At the end of the net, the anchor instructs us as to which radio channels to use and which to avoid and closes with: “You are now free to wander aimlessly about the Abacos.” Which we all do.